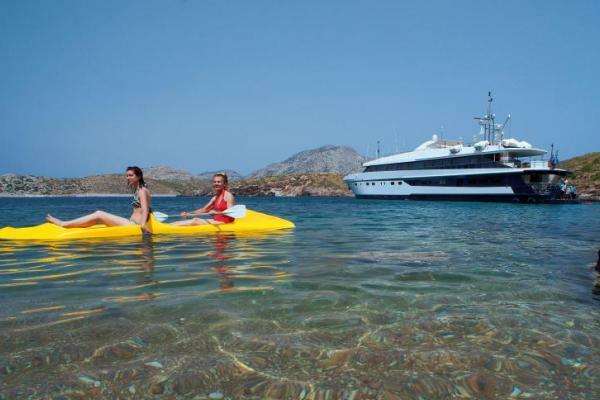 Harmony G - Mediterranean cruises, Red Sea cruise, Egypt cruises. Imagine 177 feet of comfort, beauty, and safety classiﬁed by the latest International “Safety of Life at Sea” (SOLAS) standards. 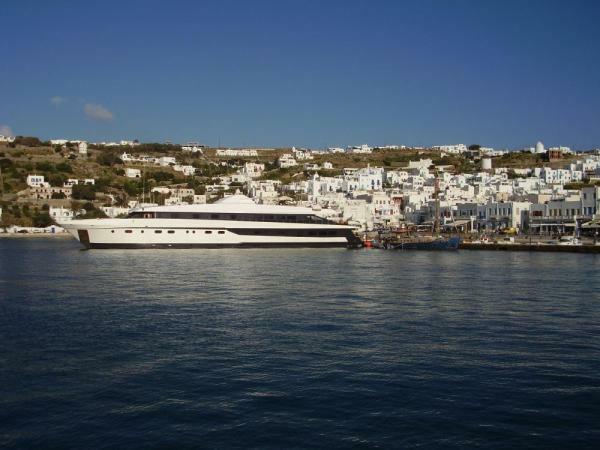 Imagine your ﬂoating home on board the sleek, contemporary state of the art Mega Yacht that sails the seas under the name HARMONY G, waving her Greek ﬂag through the wind. 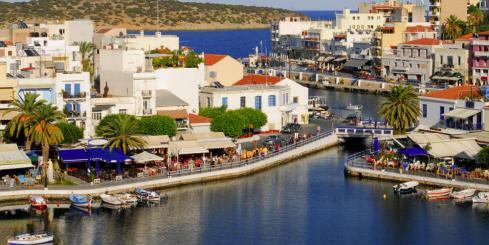 Discover the world by sea at 10 knots per hour, in her un-rushed pace, one island or seashore at a time. Harmony G loves to seduce her select 44 guests with her sleek lines and ample deck space redeﬁning what yachting was meant to be. A spacious lounge with ample space, dining areas decorated with warm colors, large windows offering pristine views of all destinations, shaded areas and outdoor bar and loungers are just some of the elements that deﬁne her essence. 360º views of unobstructed ocean are your eyes’ canvas painted with ocean blue and deep green mountains. 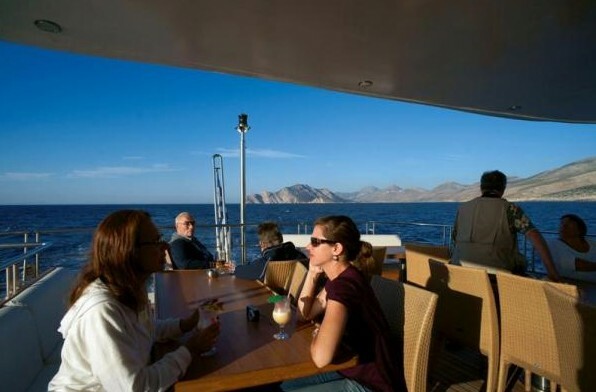 Mingle with likeminded travelers in` our public areas, enjoy a moment to yourself in our ample deck space, or retreat to your upper or main deck cabin-sanctuary all offering windows or portholes connecting you with mother nature’s wonders. 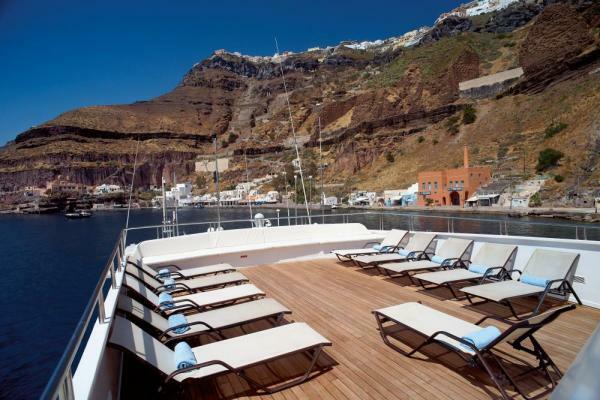 Harmony G’s experienced crew of 18 is trained with hospitality at heart to pamper her guests and guarantee the ultimate home away from home experience. 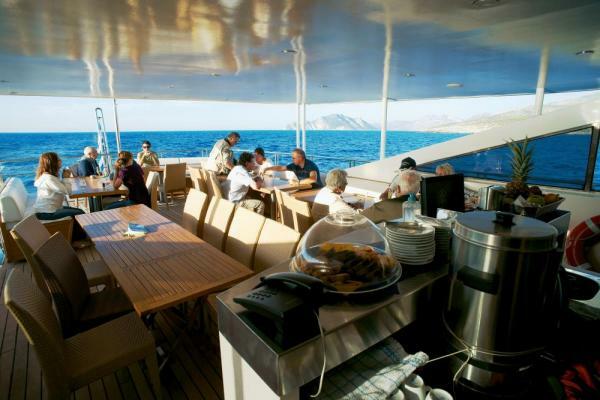 Life on board centers around the Indoor/Outdoor lounge and its American Bar (inside/outdoor). 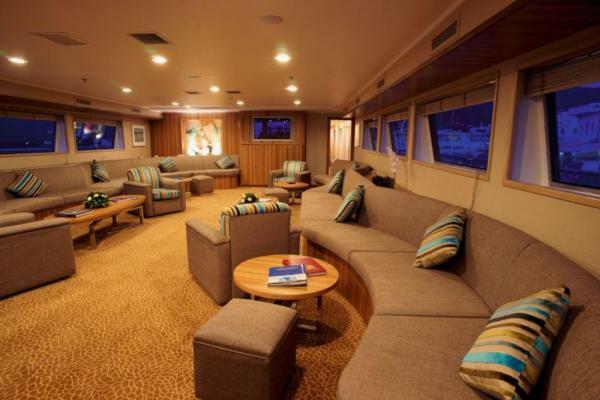 The interior lounge has relaxing couches and comfortable lounge chairs where you can have a drink and gaze out of the large windows into the breathtaking scenery you are cruising to, relax and read a book, watch television on the satellite TV or a documentaries on the next place you are visiting. The Category C cabins are located on the lower deck. 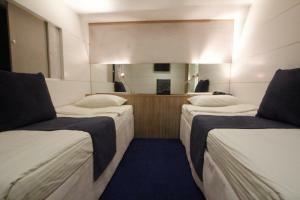 1 double or 2 twin beds. Each cabin has bathroom with shower, individually controlled A/C, piped music, flat-screen TV (Satellite channels), CD/DVD player, telephone for internal use, mini safe, mini-fridge, hairdryer, adapters (220V). 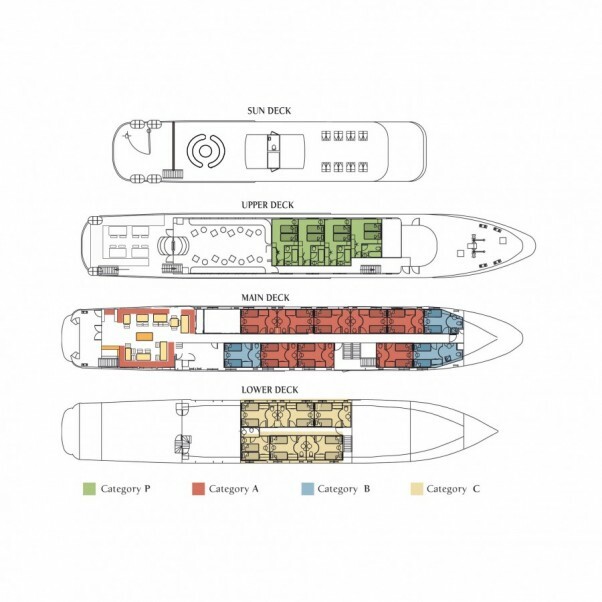 The Category B cabins are located on the main deck. 2 twin beds. Each cabin has bathroom with shower, individually controlled A/C, piped music, flat-screen TV (Satellite channels), CD/DVD player, telephone for internal use, mini safe, mini-fridge, hairdryer, adapters (220V). 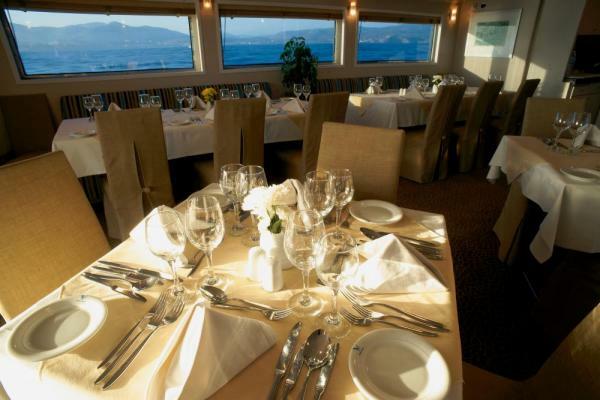 The Category A cabins are located on the main deck. 2 twin beds. Each cabin bathroom with shower, individually controlled A/C, piped music, flat-screen TV (Satellite channels), CD/DVD player, telephone for internal use, mini safe, mini-fridge, hairdryer, adapters (220V). The Category P suites are located on the upper deck. 1 double beds or two twin beds. Each cabin has bathroom with shower, individually controlled A/C, piped music, flat-screen TV (Satellite channels), CD/DVD player, telephone for internal use, mini safe, mini-fridge, hairdryer, adapters (220V). 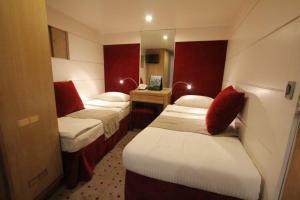 Lower deck cabins with one double bed or two twin beds. Cabins have bathroom with shower, individually controlled A/C, piped music, flat-screen TV, CD/DVD player, telephone for internal use, mini safe, mini-fridge, hairdryer, adapters (220V). Main deck cabins with two twin beds. Cabins have bathroom with shower, individually controlled A/C, piped music, flat-screen TV, CD/DVD player, telephone for internal use, mini safe, mini-fridge, hairdryer, adapters (220V). 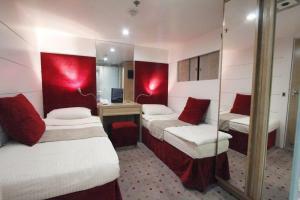 Upper deck cabins with one double bed or two twin beds. Cabins have bathroom with shower, individually controlled A/C, piped music, flat-screen TV, CD/DVD player, telephone for internal use, mini safe, mini-fridge, hairdryer, adapters (220V). Early Booking Discount - Book before January 31, 2020 and save 10% per person! Select departures only. Contact us for details.